Esophageal cancer is a malignant tumor formed by the abnormal proliferation of the esophageal squamous epithelium or glandular epithelium. As one of the common malignant tumors in the digestive system, the incidence of esophageal cancer has been increased year by year. 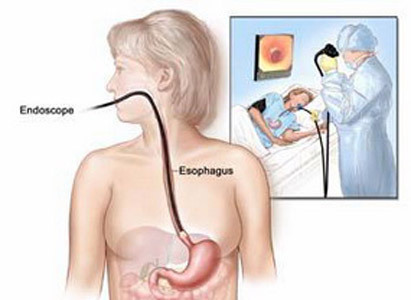 What are the symptoms of esophageal cancer and how to detect esophageal cancer as early as possible? Early stage esophageal cancer has no obvious symptoms but shows some nerve irritations occasionally. With the development of the disease, the frequency of esophageal cancer symptoms will increase, which including foreign body sensation, difficulty and pain in swallowing. However, since the early symptoms of esophageal cancer are not obvious, it is easy to be overlooked and then leads to delayed treatment. This symptom does not occur continuously, but happen intermittently and after exertion or fast eating. This is because the esophagus is peristaltic any time, so the symptom occurs only when it creeps to the lesion. During the swallowing process, it will probably produce foreign body sensation when food, especially hard and dry food, goes through the lesion area. And this sensation usually happens in a fixed site. However, it is easily overlooked because of the characteristic of mild symptoms and intermittent occurrence. The symptom mainly manifests a detained feeling when patients are swallowing. It doesn’t occur continuously either, but clear up gradually with the development of the lesion. This symptom is often accompanied by throat dryness. Patients mainly complain of chest stuffiness and tightness, which feels like there are some objects clogging in the chest. It will be more obvious when patients are swallowing, while does not affect their normal life and work. This symptom is more obvious when patients are ingesting dry and hard food, while it is not occurred every time but intermittently. Experts from Modern Cancer Hospital Guangzhou remind that if any suspected esophageal cancer symptoms is found, one should go to a regular hospital for examination promptly.